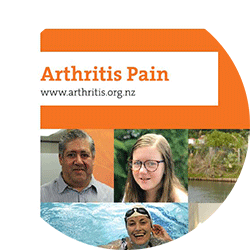 The Arthritis Pain booklet describes best practice conservative treatment options for arthritis pain, which includes physical, emotional and social approaches to provide a pain treatment framework. 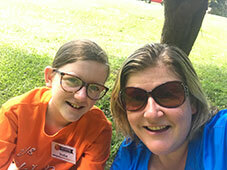 The Children’s Camp took place from 1 to 3 March in Matamata. 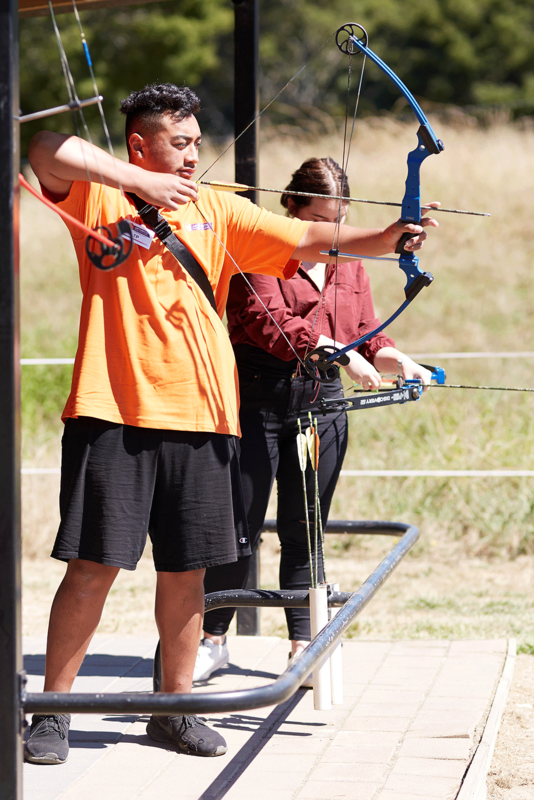 Children with JIA and other rheumatological conditions, their caregivers and siblings attended the Arthritis New Zealand camp – a weekend filled with fun and information. 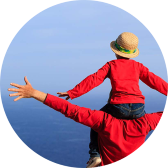 We have re-written and re-designed our pain resource. It is now a complete guide to helping you understand your arthritis pain and covers some of the key ways of dealing with your arthritis pain. Available for download here, or call 0800 663 463. Exercise and physical activity are among the most important things you can do to manage your arthritis. 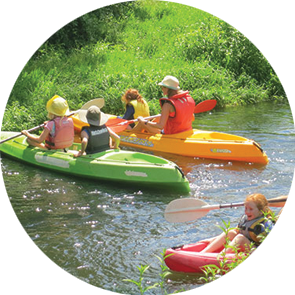 Regular exercise can reduce pain, prevent your symptoms from worsening and improve your everyday function. 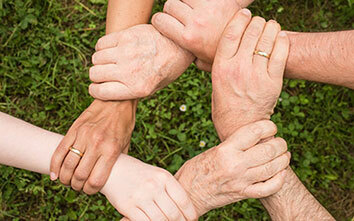 Find more ways to manage your arthritis. Find out when an Arthritis Educator will be holding a clinic, workshop or presentation in your area. If you prefer the digital space then join one of our Tuesday Night Facebook Discussions, watch previous webinars, or follow us on Social Media to be informed. If you have arthritis, you’ll know how painful and tiring it can be. 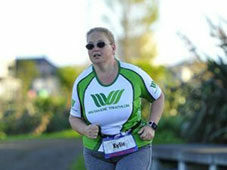 But you’re not alone – more than 670,000 New Zealanders are affected by arthritis. And we’re here for you! 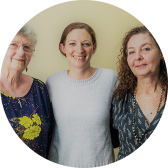 This is where you’ll find the information, advice and support you need to help you manage your arthritis and live a productive and fulfilling life. Leaving a gift in your Will is a wonderful way to ensure the cause you support can continue to improve the life of every person affected by arthritis. Think of it as leaving a legacy that will make a difference to generations of New Zealanders beyond your lifetime. People of all ages can get arthritis. It is a chronic condition with no cure but can be treated and managed effectively. Pain and stiffness are the most common symptoms. Arthritis can involve almost any part of the body, most often the knee, hip, spine and other weight-bearing joints, but also smaller joints like fingers and toes. Some types of arthritis affect the skin and internal organs as well as joints. 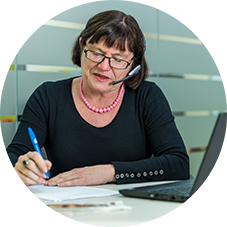 Gout arthritis is the second most common form of arthritis in New Zealand and more prevalent here than anywhere else in the world. 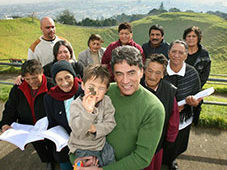 Māori and Pasifika people are particularly affected, mainly due to genetic factors. 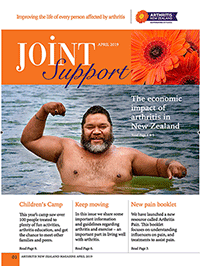 Have you read our latest Joint Support magazine? We are excited to announce the release of our 2018 Annual Review. For those of you on our mailing list you will be recieving a copy in the mail. You are also able to read and download a copy right here on our website.